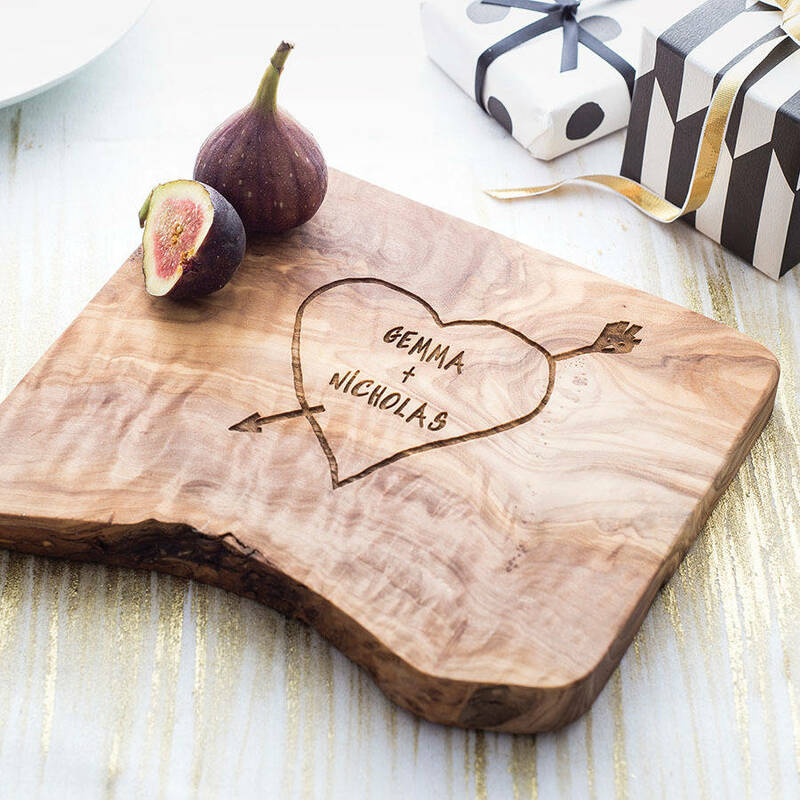 Engraved with a heart and your choice of names in the style of a tree carving; these personalised boards are romantic - evoking childhood memories and definitely a little old school. Would make an amazing and very personal wedding, anniversary or engagement gift, or how about for Valentine's Day... any special occasion in fact! 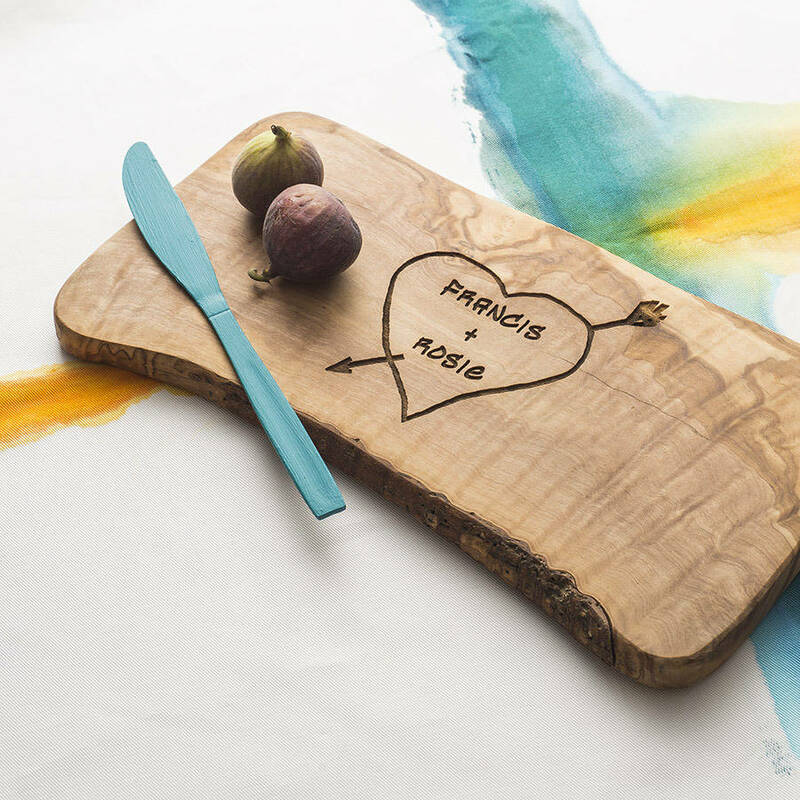 Did you know that 'wood' marks a 5th wedding anniversary - now you do! 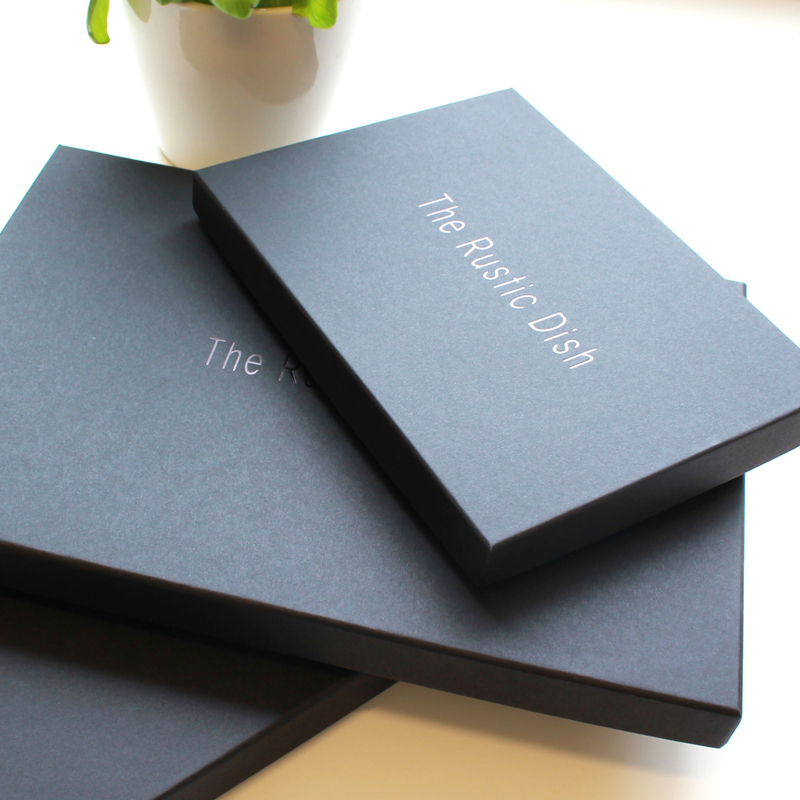 Luxury, black gift box packed with tissue paper available. Simply enter your text in the boxes provided - you can include two names up to 10 characters each. The "+" symbol is automatically engraved, so all you need to do is complete the two fields with the names. Your board will be engraved in the same style as shown in the photos. Four sizes available. Please check the dimensions carefully before ordering. Sizes can vary slightly due to the product being crafted by hand. 30cm x 15cm x 2cm - great for serving cheese, chopping veg, and as above.